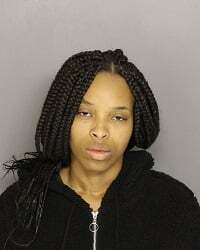 Orangeburg, S.C. (WOLO)– According to the 11th Circuit Solicitor’s Office a woman pleaded guilty Tuesday to voluntary manslaughter for the shooting death of her live-in boyfriend. Ashley Renee Butler was sentenced to 15 years in prison. Officials say in April of 2013 Butler shot and killed — Otis Matthew Key Jr. in the home they shared in Johnston. Key was a former football player at South Carolina State University. The solicitor’s office says Butler is not eligible for parole.